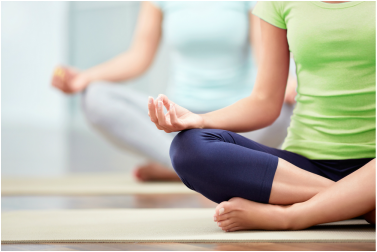 As a new student, you will be consulted on your specific needs and what you want to achieve through yoga. You can expect us to modify classes to suit your needs and to regularly check in on your progress. We want to help our students learn to help themselves, which is why we provide individual guidance and recommendations for exercises to do at home. These 60 minute gentle yoga sessions are suitable for all levels. Our intimate and tranquil studio on Clarence Street comfortably accommodates up to 5 people. See our ﻿schedule﻿ for times. ​see home tab for further information. One-on-one sessions to help you make changes to enhance your healing potential. Especially helpful for those with muscle or back pain, or stress related chronic conditions. Read more about our approach to yoga therapy. A larger class hosted at the Devonport Community House ﻿(﻿32 Clarence Street) this 60 minute therapeutic session is gentle yoga for every body. Classes run during school terms and you can start any time. Check our latest schedule. We recommend you bring your own mat, a cushion, and a small blanket. Ideal if you’re new to yoga, want to deepen your practice, or have specific needs that your would like to address. One-on-one or with up to 4 friends at our Clarence Street Studio. Design your own retreat with any combination of our yoga, massage, yoga therapy and consultation services. Come for a few hours for a quick reset or a few days in holiday apartment for full rejuvenation. Call or email us for more information.